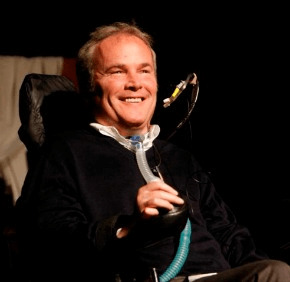 NEW YORK – Detective Steven McDonald, the New York City police officer who was paralyzed after being shot in the line of duty 30 years ago and famously forgave his teenage assailant and went on to became a prophetic voice for forgiveness and reconciliation, died Jan. 10. He was 59. A New York police spokesman confirmed that McDonald, who was Catholic, had died at a Long Island hospital four days after suffering a heart attack. The cardinal told Catholic New York, newspaper of the New York Archdiocese, that he had visited McDonald in the hospital’s intensive care unit and said that the many rosaries and religious statues there represented outward signs of a Catholic faith the detective dearly practiced. “You could see that he was such a fervent Catholic,” Cardinal Dolan said. McDonald often discussed his Catholic faith and the reason he forgave the teenage shooter, explaining that he believed what happened to him was God’s will and that he was meant to become a messenger for God’s message of peace, forgiveness and reconciliation in the world. While on patrol July 12, 1986, McDonald came upon three teenagers in Central Park and stopped to frisk them because he thought one of them had a weapon in his sock. One of the youths, then-15-year-old Shavod Jones, pulled out a weapon of his own and shot McDonald, leaving him for dead as the trio fled. Three bullets struck McDonald, including one that pierced his spinal cord, leaving him paralyzed. McDonald remained on the police department payroll after being shot and later was named a detective. McDonald long hoped that he and Jones could team up to speak about reconciliation. They corresponded while Jones served a 10-year sentence for attempted murder, but the correspondence ended when McDonald declined a request from Jones’ family for help in seeking parole, saying he was not knowledgeable enough or capable to intervene. Jones died in a 1995 motorcycle accident shortly after being released from prison on parole. For years after the shooting, McDonald drew widespread attention and media coverage. He met with St. John Paul II in 1995 and with South African anti-apartheid leader Nelson Mandela. Although he was able to breathe only with the help of a respirator, McDonald crossed the country speaking at schools and other venues about the importance of forgiveness and peace. He also became an advocate for peace in troubled lands, visiting Northern Ireland, Israel and Bosnia to take his message to communities in conflict. Conor McDonald eventually joined the NYPD and became a sergeant in 2016. He is the fourth generation of the family to serve in the department. McDonald was born March 1, 1957, in Queens Village, New York, and grew up in Rockville Centre on Long Island. He was one of eight children of David and Anita McDonald. A funeral Mass was scheduled for Jan. 13 at St. Patrick’s Cathedral in New York City with Cardinal Dolan presiding. Contributing to this report was Catholic New York, newspaper of the Archdiocese of New York.